Implementing supervised injection services is a best practice guideline (BPG) that supports decision-making around the most effective approaches for delivering supervised injection services (SIS) to people who inject drugs. These approaches promote engagement, support positive health outcomes, and help reduce harms associated with injection drug use. 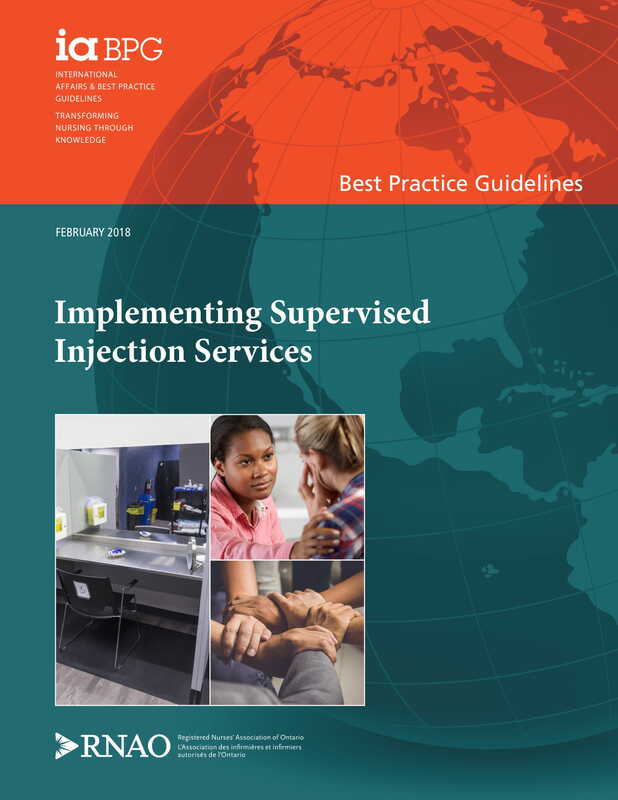 The BPG's 11 evidence-based recommendations aim to promote health equity for people who inject drugs through harm reduction, culturally safe, and trauma-informed practices and policies in SIS. The recommendations apply to nurses and health workers providing SIS. However, since people who inject drugs access services and supports in other health and social service settings, this BPG is a critical resource for all sectors. Organizational and health system level recommendations that outline operational and policy considerations that support accessible, relevant, equitable, and comprehensive care and services in SIS.